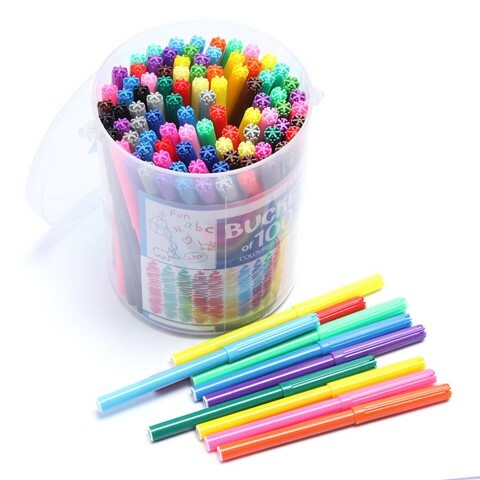 Coloured Markers In Bucket 100Pk. 13.2 x 0.7cm. 25 Assorted Colours - 4 Of Each. PP Shaft | Cotton Nib. 540G Packaging: Colour Sticker with Cylinder.